For Roleplay, it all started in 1999, in Philadelphia, PA. Breaking into the Nightlife as a promoter, Roleplay, started watching and learning from the local legends about the art of DJ'ing. These DJ's included DJ Vibe (know known as DJ Vegas Vibe), DJ Omega, and Jeff Heart. 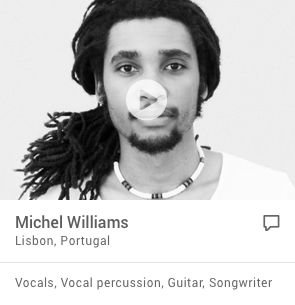 Learning from the best in his city, Roleplay started spinning House and Trance in the local Underground Rave Scene. DJ Vibe played a very important part in how Roleplay got started within the Nightlife Scene. 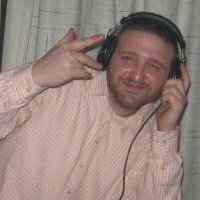 With no clue to what was going on, DJ Vibe took Roleplay under his wings, and brought him in as a promoter for Light It Up Productions, while at the same time showing him the ropes in the art of DJ'ing. "If it wasn't for DJ Vibe, DJ Omega, and the whole Light It Up Team, I may have never broke into the night life scene as a promoter/DJ." ?By 2001, Sean started spinning at local nightclubs which included Motion Nightclub, Shampoo Nightclub, The Warehouse, and Transit Nightclub as well as two local Philadelphia Companies, Light It Up Production and Nocturnal Production. From 2001 to 2003, Roleplay was know as E-MaN when he took the stage behind the decks. In 2003, Sean left the nightlife scene to go off on a new adventure in the US Marine Corps. ?After returning home, Roleplay began to DJ again. Taking it slow, Roleplay started a weekly podcast called Toxic, where he would spin Hard House and Trance for 4 hours. In 2009, Roleplay started getting booked for local college events and private parties. ?In late 2009, Roleplay started working with a local up and coming Hip Hop singer, Ceaser Live Soul. In early 2010, Roleplay joined Live Soul Nation as their first DJ. 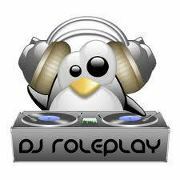 Spinning at different venues and events around the Philadelphia area, Roleplay decided it was time to make a new name for himself, and this is how he became known as DJ Roleplay. ?In 2010, Roleplay broke back into the nightlife scene, spinning for a local company Wheels of Sound. During this time, Roleplay started up his own company called NiteStalkers Production. From that point on, Roleplay has played at different nightclubs throughout the city, including Roxxy Nightclub, Flirt Lounge, Mint Lounge, Octo Nightclub, Club 27, Abcent Lounge, and The Suite. ?Currently Roleplay holds a weekly residency at iCandy Nightclub for Troublemaker Thursdays as well as a weekly broadcast on eNation.FM as the Co-Host with DJ FX on the Paranormal Groove Show from 4PM to 8PM.